the record for being the youngest American to scale Mt. Everest and the youngest mountaineer in history to ascend the highest peak on each continent, the Seven Summits. But he’s also an excellent wingsuit pilot. Last fall he spent a few months flying in Switzerland and exploring new exits points. Joby has been flying S-fly for more than 2 years. He flies the Profly and the Expert. Joby particularly likes « the extra range and speed the Profly gives and it has a very stable flight close to big mountains ». 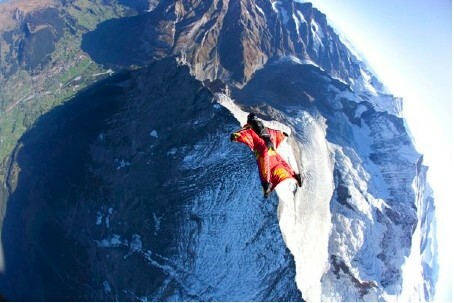 Here are some great shots he did, flying the Eiger East ridge.